Bitcoin is not just a new form of payment, and it isn’t simply a store of value. It is, perhaps most importantly, a public ledger, and it is the part of bitcoin known as the block chain that many argue holds the true innovative potential of the technology. In essence, bitcoin is a new foundational technology built using the Internet, utilizing both the power of cryptography, as well as aspects of older, less disruptive forms of virtual currency. Because bitcoin provides a totally new infrastructure, this means there will be a number of businesses built both surrounding it and on top of it. Those built surrounding it, you may be more familiar with today, as companies like wallet providers and processors will store bitcoin and allow you to use it as payment. However, there is another part of the industry, one that is only in its earliest stages, that seeks to build new projects using the block chain, thereby allowing entrepreneurs to pursue ideas that did not exist at all just five years ago. Record-keeping: Bitcoin’s public ledger has the ability to enable trusted record-keeping on the Internet while increasing overall transparency. There hasn’t been a really good way to offer a public database of information prior to this type of cryptographic ledger. Asset distribution: Cryptographic asset distribution may allow companies to raise money in a secure and effective manner without relying on bankers who charge massive fees. 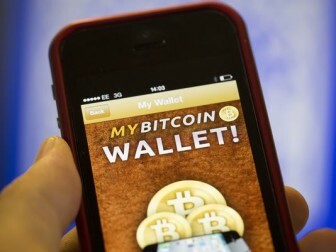 Wallet technologies: Wallets that allow users to store bitcoin have been around since the very first software client for the cryptocurrency was created. However, that doesn’t mean this sector is without innovation, as more advanced wallet technologies are now being built by companies in the space. Smart contracts:The concept of smart contracts was first conceived by researcher Nick Szabo in the 1990s. The idea is to implement programmable, self-executing agreements without the need for a third party. The true application of smart contacts hasn’t been fully realized yet, but bitcoin’s emergence is generating momentum for this type of digital agreement between parties. Every day, more business ideas are formed around cryptocurrencies. The more there are, the stronger the community becomes to help drive the industry forward. It’s easy to imagine there will be plenty more support businesses that will develop around bitcoin, just like in any other industry. The question is: What other great business ideas will be formulated in near future as this emerging technology continues its progress? Thanks for visiting the TechNews.org website. Be sure to catch all Bitcoin financial news, bookmark us and check all the videos and news articles regarding Bitcoin business news.